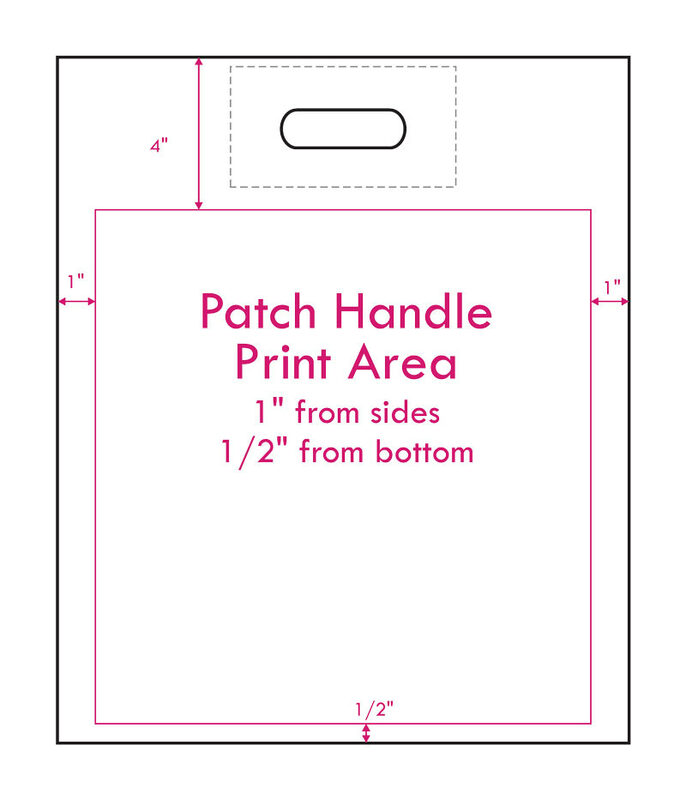 Measurements below are a general guideline for printing on Patch Handle Bags. The distance from the top of the bag to the bottom of reinforced patch is approximately 3.25". We recommend that art start at least 4" down from top of the bag. Printing in the top of the bag is possible, but requires at least 1" margin from top, sides, and reinforced patch. The width of the patch is a little over 5"